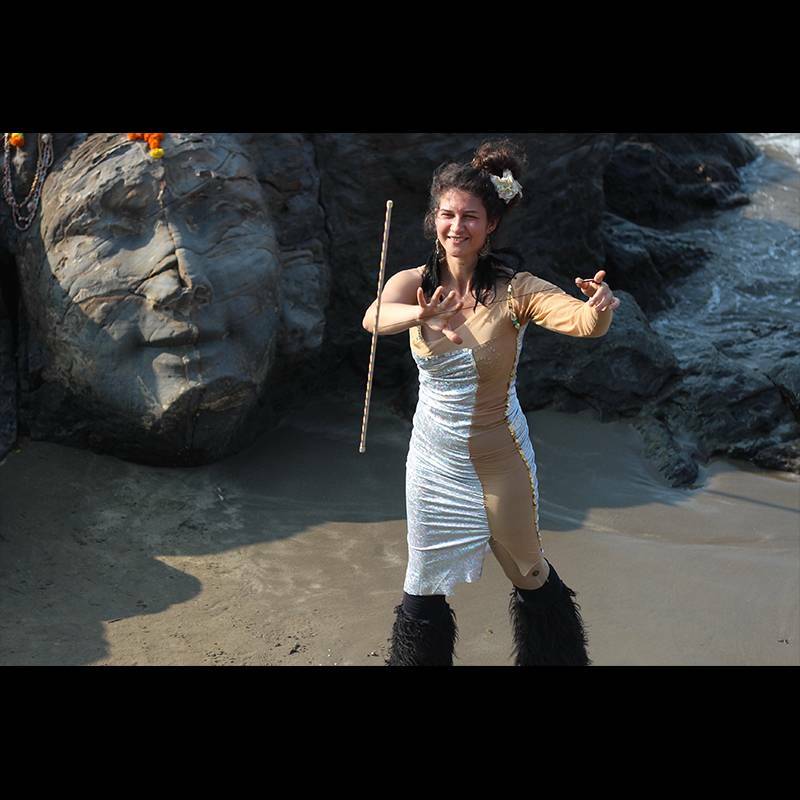 Are you an instructor, part of a performance troupe, or simply want to share your love of the original levitation dance wand? Buy 5 short string wands, and get 1 free in this kit to spread the flow! firefly: beautiful green and gold sheen that switches between the 2 colors depending on the angle that you view it, plus it's UV active! String length is measured from the center of the wand to the end of the string - so the actual length of raw material is twice as long. If you are interested in both long- and short string wand, we do NOT recommend swapping strings, as you have to cut your string and replace it everytime you swap wand styles. 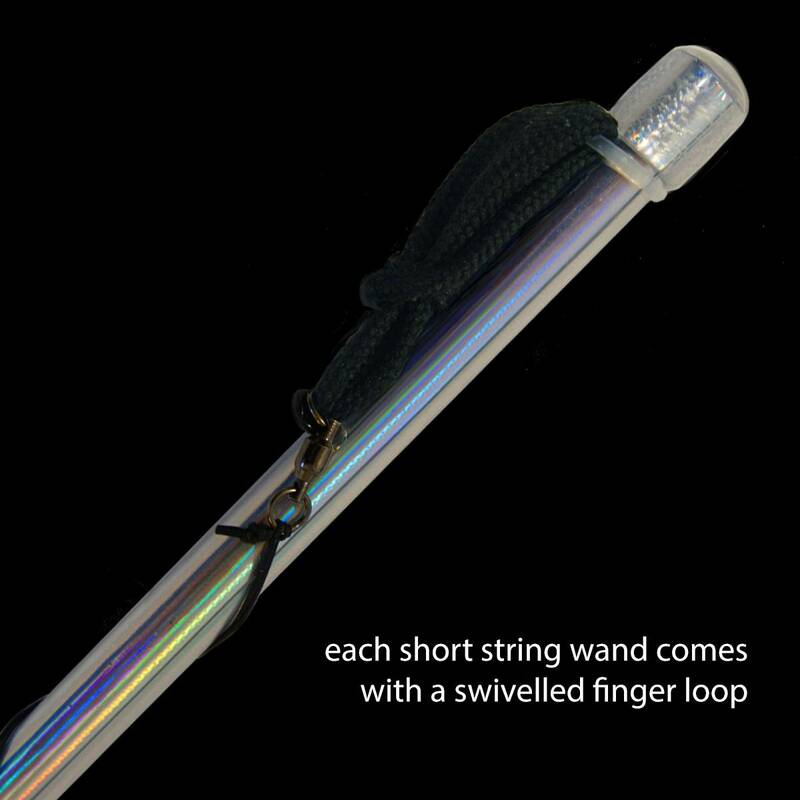 All short string wands come with swivelled finger holds, so you never have to worry about your string twisting up - necessary for double wand manipulation. Note: The black string is chosen for its strength and durability - invisible magician's thread is too weak and will break with active play. We tried using white, silver, and grey string and fishing line, and surprisingly they are more visible than black as they catch and reflect light. 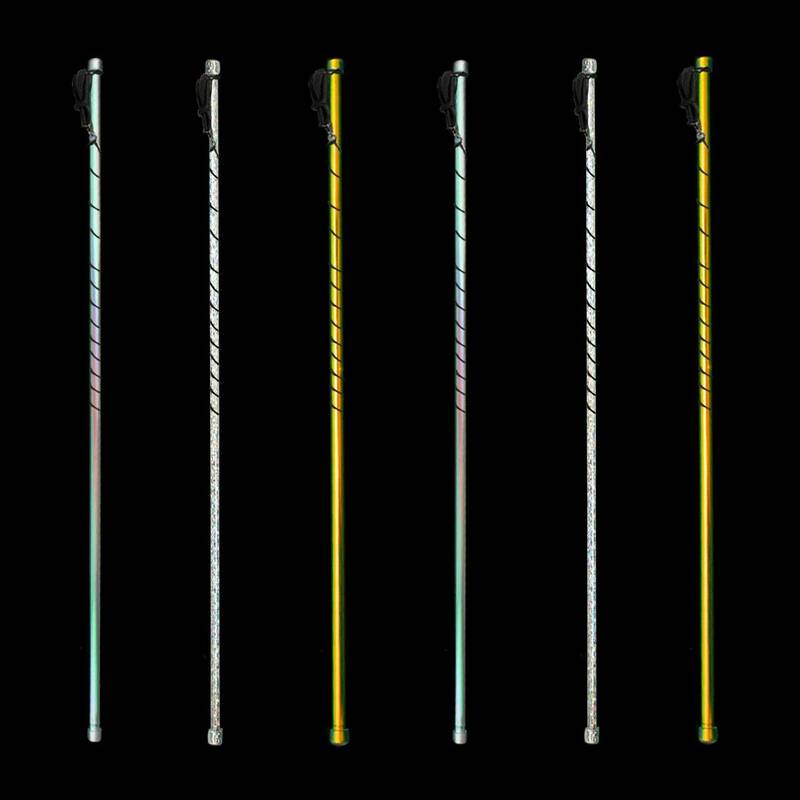 The wand is not designed specifically for magic, but rather for movement. The magic is in your movement. length 26" | diameter 3/8"
Construction: The core of the flow-wand is fiberglass, which is nice and heavy, extremely strong, and does not warp with humidity or temperature. 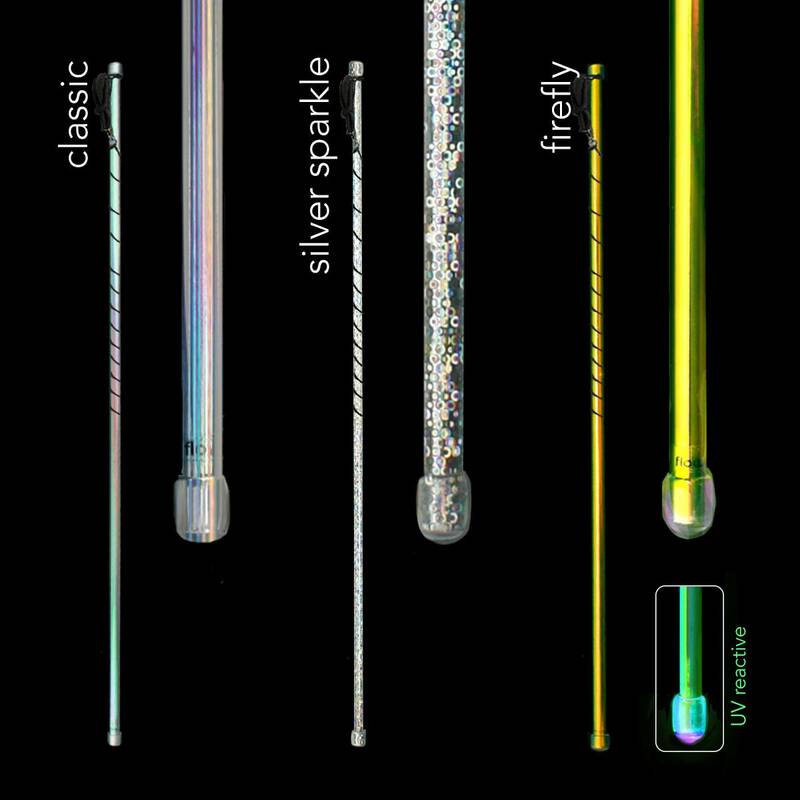 We drill, bevel and clean the fiberglass and apply a special tape to give the wand its beautiful holographic finish. This step has to be done very carefully to avoid getting bubbles under the tape. We then put a layer of clear heat shrink over the whole wand to protect the tape and prevent it from peeling off in humid weather. The hole is finished with handtools and tiny clear caps finish the ends and ensure that no fiberglass is exposed. Wand string and swivel finger loop: For the string, we use braided teflon-coated nylon ice fishing line that is very durable. If your string breaks for any reason, you can replace it easily with extra string from us, or any strong button or upholstery thread or braided fishing line. You can also use invisible thread or fishing line if you wish. We have found that "clear" string often appears more visible as it catches and reflects the light. It's also less comfortable and gets tangled easily, but there might be occasions where it's appropriate. Feel free to experiment!